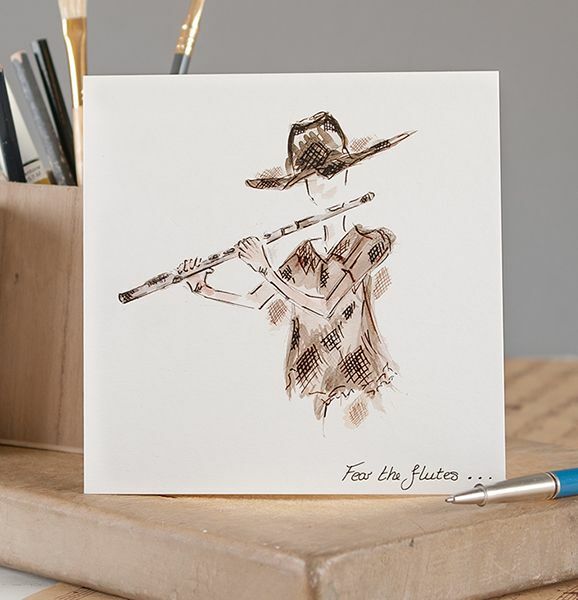 Musical greetings card “Fear the Flutes” by Claire Louise featuring a flautist playing making a nice music card for flute players and all musicians. From our selection of musical cards including musical instruments. The card is blank inside for your own message and comes complete with envelope and cellophane wrapped.